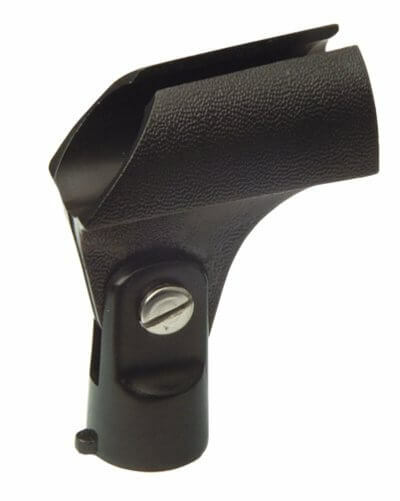 Plastic mic holder with standard thread; the mic simply slides in and is held securely. Featuring swivel adjustment. High quality hard plastic.